The traditional general anesthesia is no longer necessary! The technology and progress made in sedation has helped make extensive cosmetic procedures possible without the side effects of general anesthesia. In the past, correction of the body contour involved lengthy, severe, high-risk surgery. Such operation required a general anesthesia and a stay in hospital - and a blood transfusion was often necessary. The long hospitalization and recovery period had repercussions on the patient’s socio-professional activities. Recovering after an intravenous sedation is quicker! 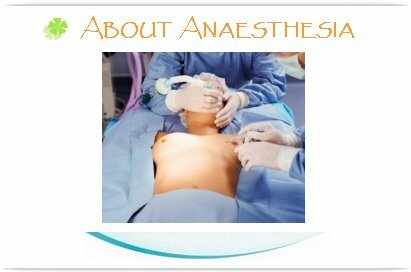 Nowadays, with the discovery of intravenous sedation, tumescent infiltration, and the use of more efficient painkillers, the traditional general anesthesia is no longer necessary, loss of blood is limited and consequently the recovery period is reduced. Contrary to traditional narcosis, whereby a tube is brought into the throat and connected to a breathing apparatus, you actually breathe on your own. While you sleep you breathe and swallow independently and feel no pain. Technology, together with advances in sedation, makes extensive cosmetic surgery possible without the side effects of general anesthesia. During an operation under intravenous sedation, you are asleep and you feel no pain. A few hours after the surgery you feel fine and have been spared the side effects of general anesthesia. Intravenous sedation has made surgeries safer. Combined procedures are less expensive in terms of hospital costs as well as social and professional disruption. This makes it, for instance, possible to have breast reduction surgery and at the same time lipo-sculpture and facial rejuvenation. Our plastic surgeons choose to use a group of Certified Registered Anesthetists (CRA) for administering general anesthesia and monitored anesthesia care. A CRA is qualified, licensed and trained to administer general anesthesia. The educational requirements to become a CRA are extensive. Prior to applying for admission to a graduate program in anesthesia, a candidate must have a five-year bachelor’s of science degree, a current license as a registered nurse, and a minimum of one year’s acute care nursing experience. The master’s degree nurse anesthesia program itself is 24-36 months, depending on university requirements. CRAs are board certified and mandatory continuing education is required for recertification every two years. Our plastic surgeons have been working with a select group of CRAs since the beginning of their practice. Every member of our anesthetist team has 20 - 30 years of anesthesia experience, and has specialized in “Outpatient Anesthesia” for a minimum of 20 years plus. Together, our plastic surgeons and the CRAs have maintained a superior safety and patient care record. We have found that the nursing background of CRAs has added a higher quality of personal attention to surgery and recovery, while maintaining the highest medical safety and care. Anesthesiologists may be used with high risk patients that require surgery at the hospital. Another reason that our surgeon prefers CRAs is that they stay with the patient throughout the surgery and until the patient is discharged home from the recovery room. We feel that it is important that the patient is monitored closely during the period in the recovery room. If you’re looking for a top quality cosmetic plastic surgery clinic abroad, Makeover Travel will literally transform how you look and how you feel. There are many reasons why American, European and British clients choose a cosmetic plastic surgery clinic abroad. Makeover Travel is the leader South American organization specialized in cosmetic and plastic surgery abroad that offers you substantially cheaper prices for top quality cosmetic procedures. Makeover Travel provides excellent post-operative care and a high quality cosmetic plastic surgery clinic abroad that will cater for your needs including transport from the airport to the clinics and a five-star hotels.